I purchased my 1125CR about a year ago. I was servicing the air filter and was curious about the velocity stacks, because the previous owner said he upgraded them. 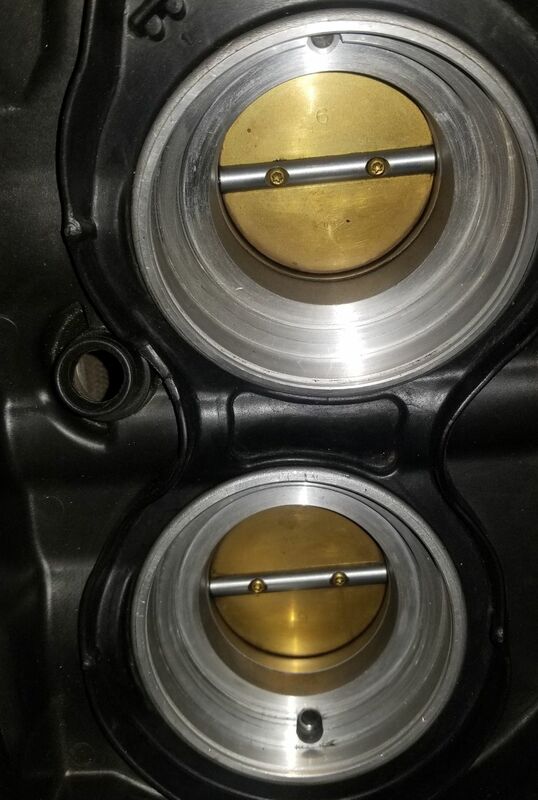 I did some research and it appears as though the only thing that has been done to the throttle bodies is remove a rubber, or maybe plastic, black ring from the top of the throttle bodies, that I assume serves to reduce turbulence of the air entering the throttle bodies. I spoke with my dad about how having sharp edges exposed could potentially be undesirable, he agreed and we couln't figure out why someone would decide on the "mod". I was curious to see if anyone else has done this or come across it and what the thought process behind it is. Also, if this is some sort of issue that i should resolve quickly. Stupidity comes to mind. The length of the inlet track is mathematically calculated to create the greatest closed inlet valve back pressure at the optimum pulse frequency (RPM). The factory stacks are already at the optimum length. Different incorrect stack lengths will make a peaky power curve and can create detonation in the most severe case. Those rings prevent turbulence.That turbulence increases the thickness of the boundary layer and reduces the effective flow rate though the inlet track. 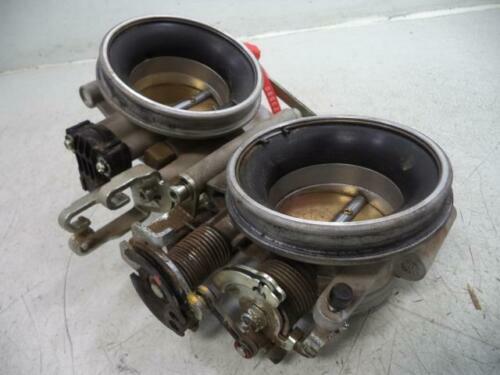 I found this image on ebay, to compare my throttle bodies to. Is missing that black ring a problem? Do you know what its called? I did some more research and I found out that the black ring is the intake funnel and there is also a clip, the snap ring. Is not having the intake funnel a big issue, can I still ride until i order them? I appreciate you responding and answering my questions. Thanks. E mail me your address and I will send you them, I have a extra set. For riding it, try and see if you even notice any difference.